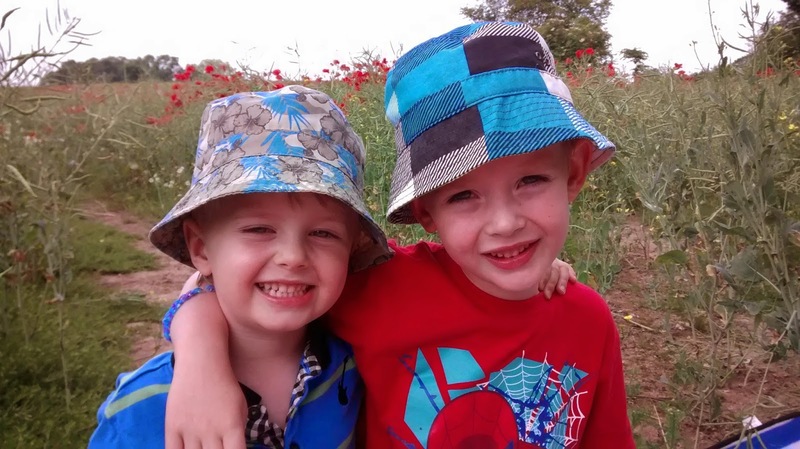 My day to day life with my 2 boys... and my love of sewing & crafting! 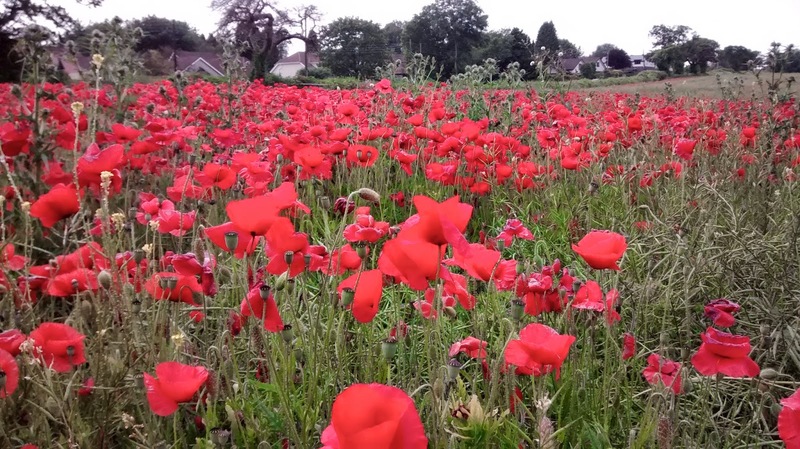 We were lucky enough that a friend found this beautiful poppy field on her way to work. Its been created to commemorate the first world war. As soon as I saw her photos on Facebook, I just knew that I had to take the boys. So last weekend we packed a picnic, picked Daddy up from work and made our way there. Its right by the road and when you get close you can see it in the distance a magnificent sea of red. And its just as breathtaking up close. 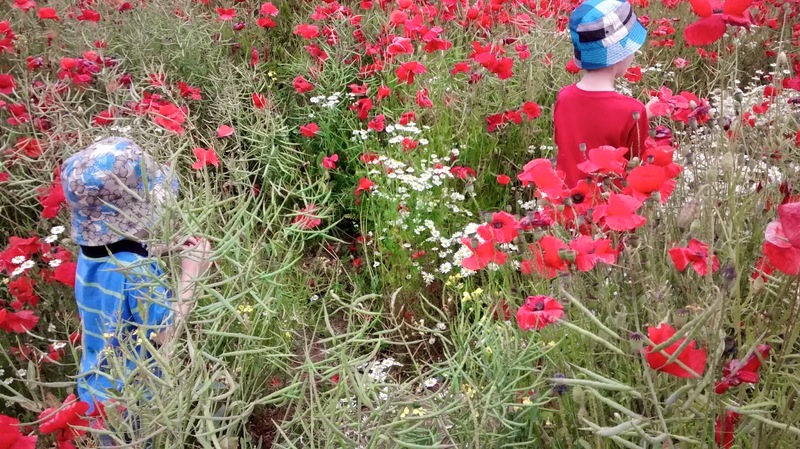 We ate our picnic lunch at the side of the field while enjoying the sight if the flowers bobbing their heads in the wind. 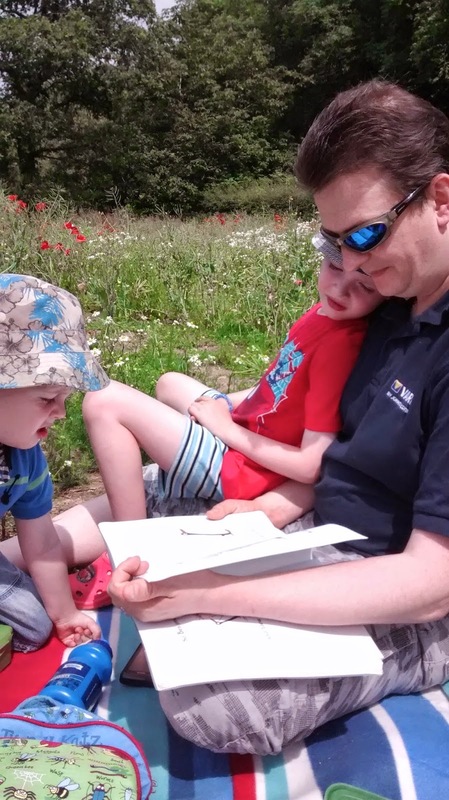 After lunch the boys enjoyed listening to Daddy read a story, Penguin by Polly Dunbar, a current favourite. We talked about how they grow and make seeds. We even picked a few seed heads to dry out. So we can grow them in our garden next year as a memory. If you go on to purchase these we will receive a small percentage towards the running costs of the blog. 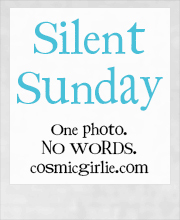 Firstly I'm so sorry for the un-announced blog break. I'm not sure what happened really just insanely busy with real life LOL! One of the main things taking up my time was Joseph's (5 1/2) School carnival float. 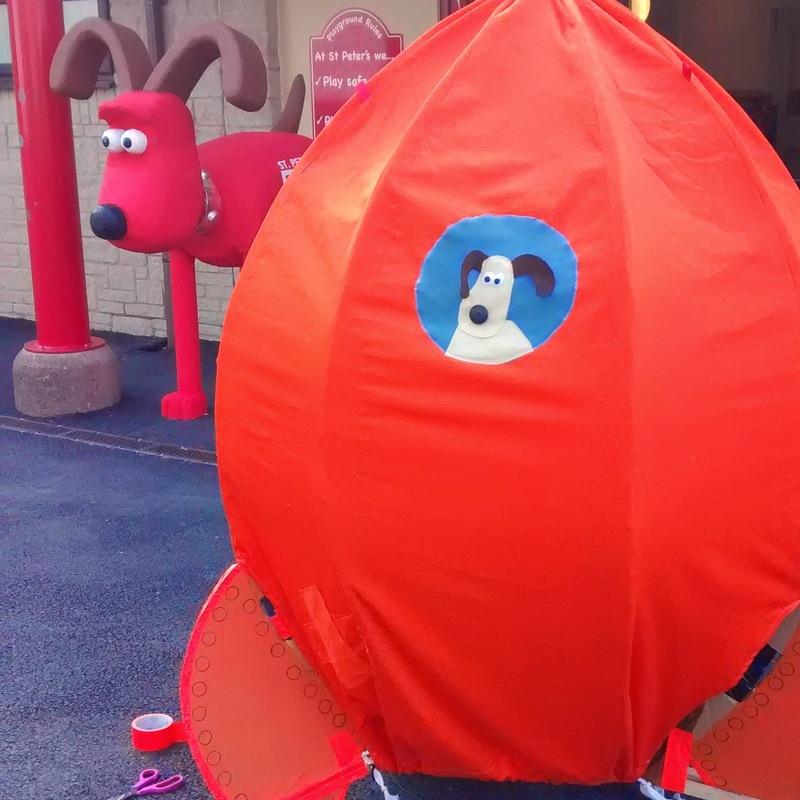 A fellow mum & I spent many hours making the giant orange rocket for our Wallace & Gromit float. Most of our time was spent making the frame from cardboard & corrugated plastic. I then sewed the 'tent' at home, which was hard going due to the size & weight of the fabric! It took me nearly an hour just to iron the thing! 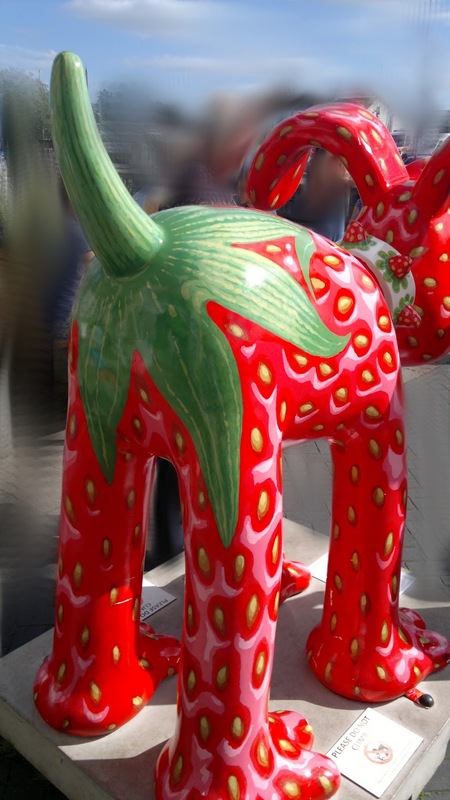 The Gromit was made by a very clever couple in their garage, its great to have our own school Gromit. I also had our costumes to source & make. 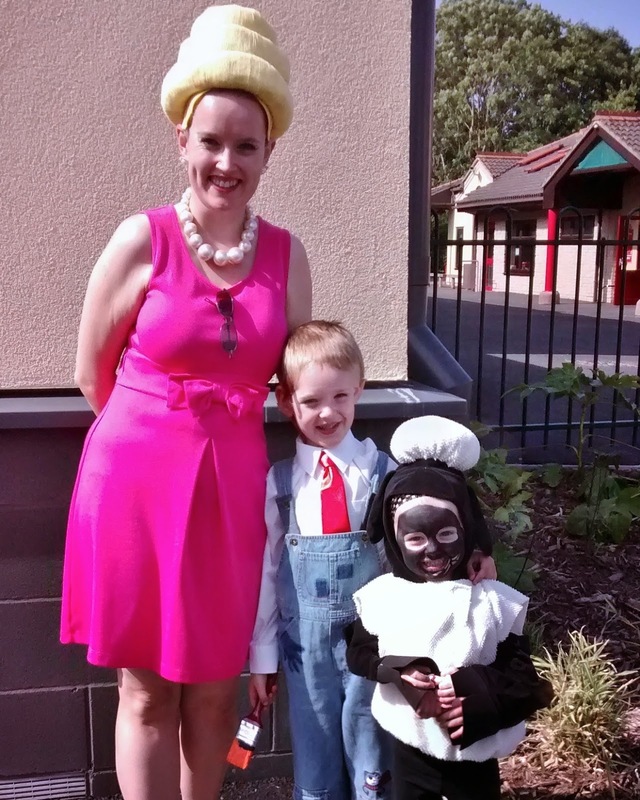 Joseph was dressed a Wallace (painting the rocket), Daniel (4) was Shaun The Sheep & I was Paella the Bake-O-Lite lady. We had lots of fun on carnival day & were blessed with good weather, we are looking forward to doing it all over again next year! At half term we had a lovely weekend away at Butlins. I think the boys enjoyed getting to see the Skyline Gang again most of all & also having a go on their new helter-skelter. 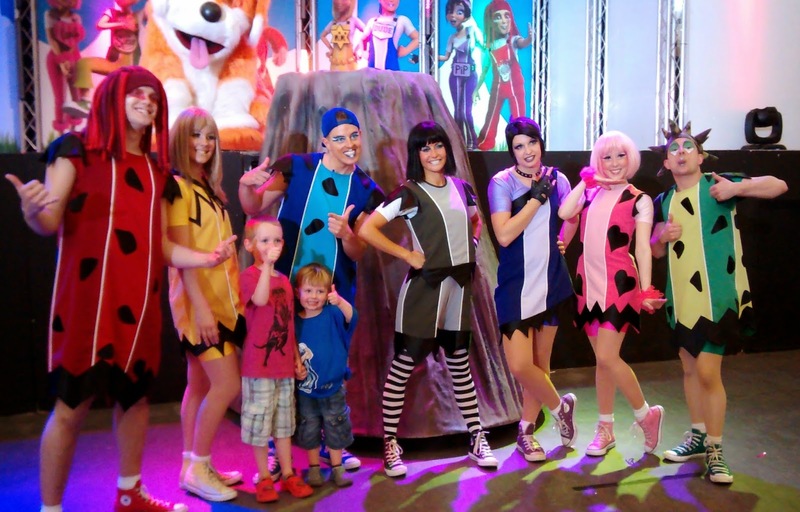 Why not take a look our post form our holiday at Butlins last year. The boys did brave the then freezing outside paddling pool, I expect it has been lovely this week though! 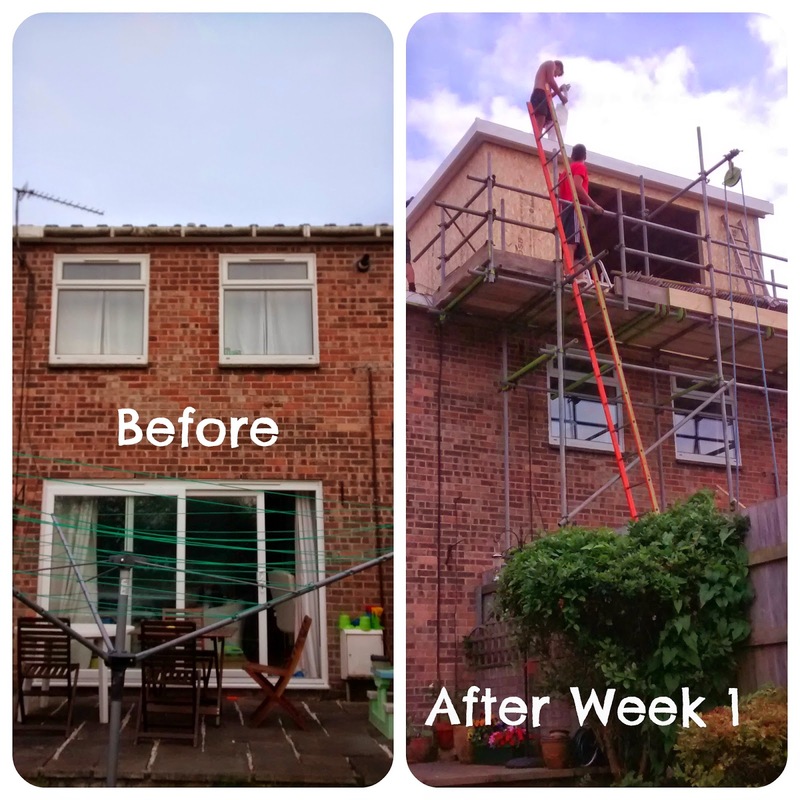 We've also had the go ahead on our loft conversion from the planning people so the last week, has seen our back garden & much of the house taken over by builders! Goodness knows how many cups of tea I have made, that is until they all switched to squash as it was just too hot working upon our roof all day! Armed with my Bank Holiday Slimming World Menu Plan, I headed off to the big Morrisons at Cribs Causeway. I could have gone to my more local one but as its a little on the small side I decided to treat myself & go a bit further so I could take a look at their home range etc.. That ended up backfiring on me, as I was so busy choosing what food to buy I ran out of time to have a good look at the extras! On arriving at the store The first thing I noticed was lots of 'I'm Cheaper' banners & signs letting me know how much they had reduced over 1000, products by. 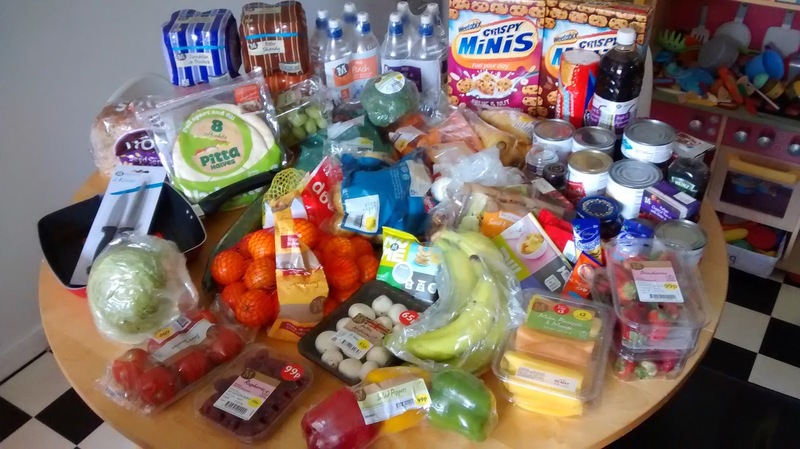 Many of these are products that i would buy on a weekly basis & it brings Morrisons pricing more in-line with the budget supermarkets, whilst still offering the wide range & great service. I was impressed with their 3 for £1.50 veg & 3 for £10 meat deals. I did however find a couple of products I didn't buy as I know I can get them cheaper elsewhere; these were Pepsi Max & own brand fruit & fibre. This was after I'd put away the chilled & frozen bits! I bought lots of superfree foods to see me through the weeked & found some great new Highlights flavours! 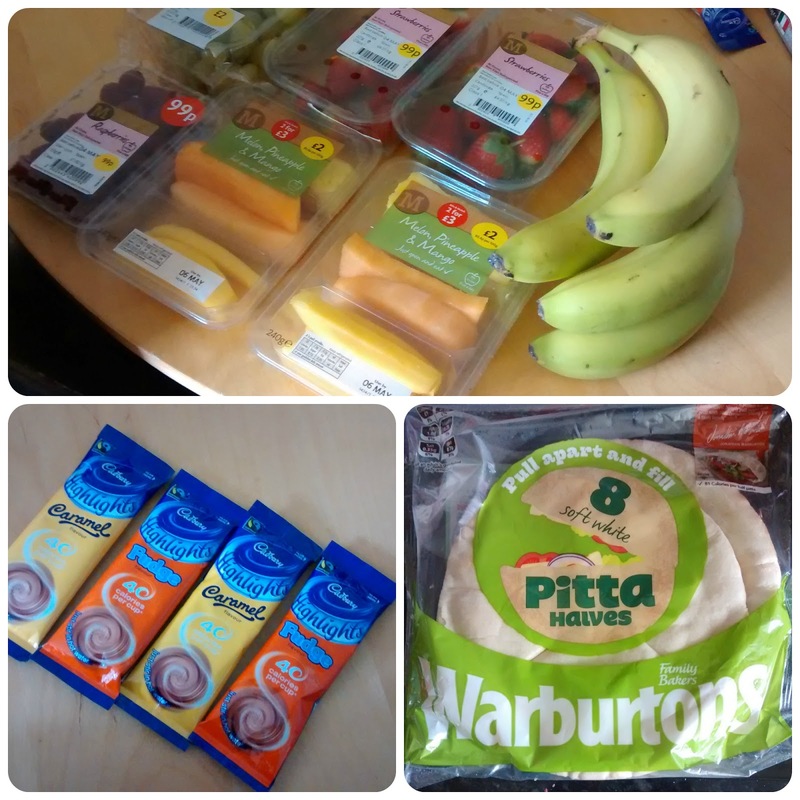 I also managed to buy everything I needed for my menu plan, except Warburtons Squarish Wraps, which I substituted for Warburtons Pitta Halves (only 75p). 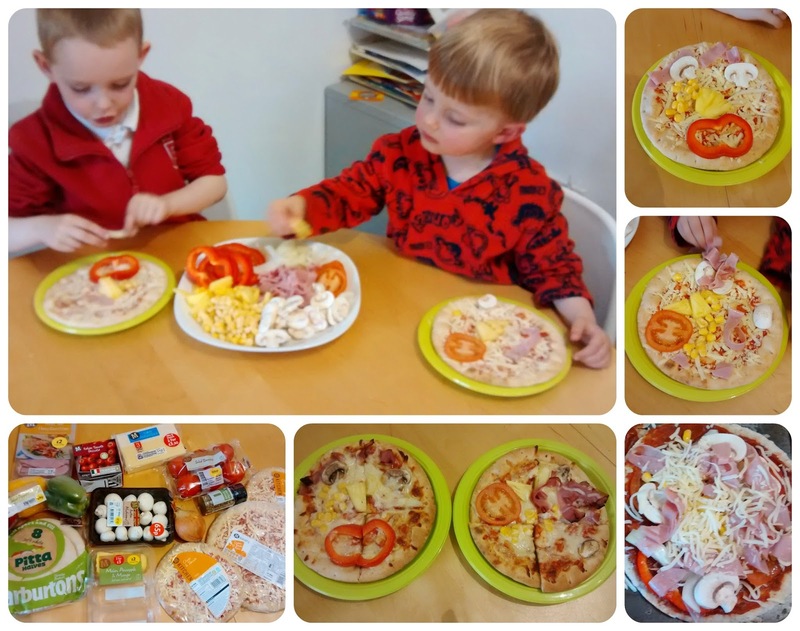 On Saturday he boys had great fun decorating their own mini pizzas (50p each), they used veg & ham to make a face, adding some extra cheese on top. I made one for Daddy (smart price cheese & tom £1), and my own using a Warburtons Pitta (8 syns for both halfs + HEA of cheese on top). They were delicious! Blend or finely chop 1/2 of onion & 1 garlic clove. Add to a bowl with mince, 1 tsp herbs, & beaten egg white. Mix well, I find using my fingers works best & often use latex gloves when doing so. Form in to approximately 12-14 balls each one around a piece of mozzarella. They can be chilled at this stage if you would like to finish cooking them later. Spray a frying pan with frylight & seal 5-6 meatballs at a time on all sides. For the sauce, chop the onion & garlic. Fry in a pan using frylight, once softened add, sliced mushrooms & pepper for another 2-3 mins. Add remaining ingredients, bring to the boil, & turn down to medium putting the meatballs on top of the sauce. Cook for around 10 minutes, then turn over & cook for a further 10 mins. Serve with spaghetti or pasta. This made enough for all 4 of us and cost £7.02p for the meal which works out at £1.75 each, bargain!Its great to prove that eating healthy/dieting doesn't have to cost the earth. This went down well with everyone after we'd spent the afternoon at Ashton Court Miniature Railway, having lots of fun & fresh air! 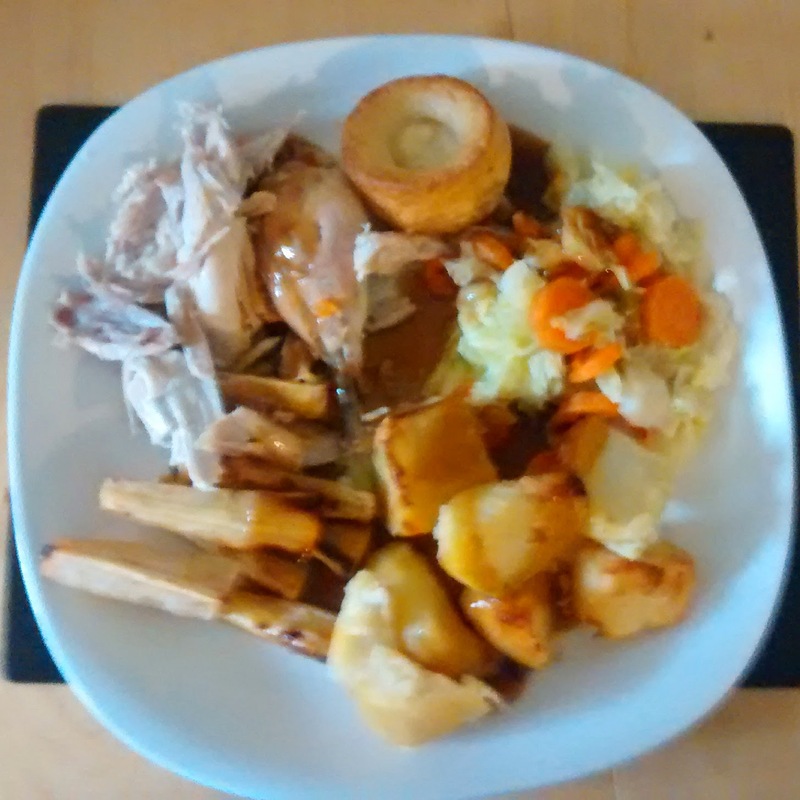 On Monday we had a roast chicken (3 for £10), with lots of veg, including roast parsnips (daddy's favourites). All cooked using fry light so my only syns were for gravy & a Yorkshire pudding (Morrisons MSavers 2syns each). 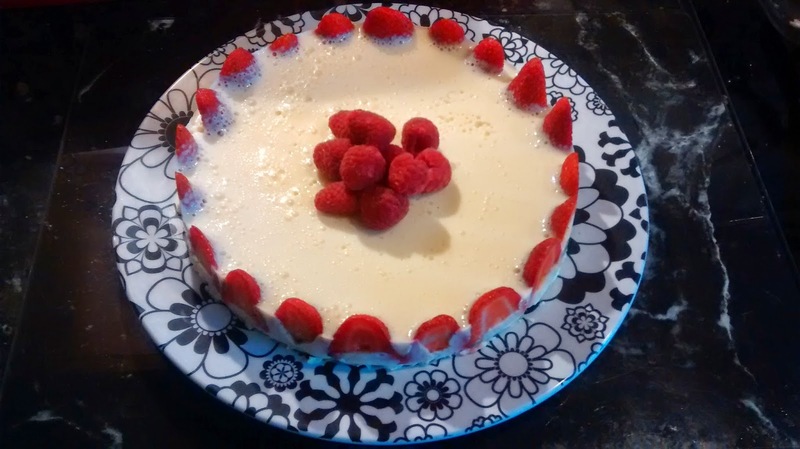 I also decided to treat myself & make a slimming world cheese cake for dessert, Its the first time I've tried a low syn option (5.5 syns a slice) it was nice however I want 100% happy with the base so I will tweak it & try it again. Once happy I will share the recipe! 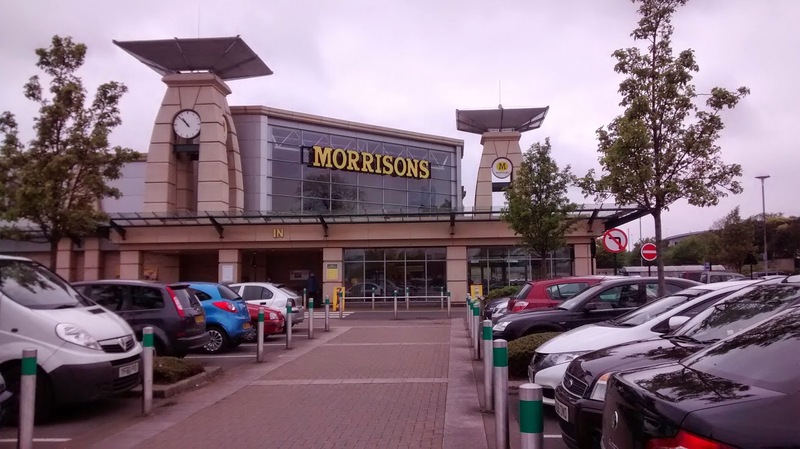 I've loved being a #MorrisonsMum & will be doing my shopping there more often. 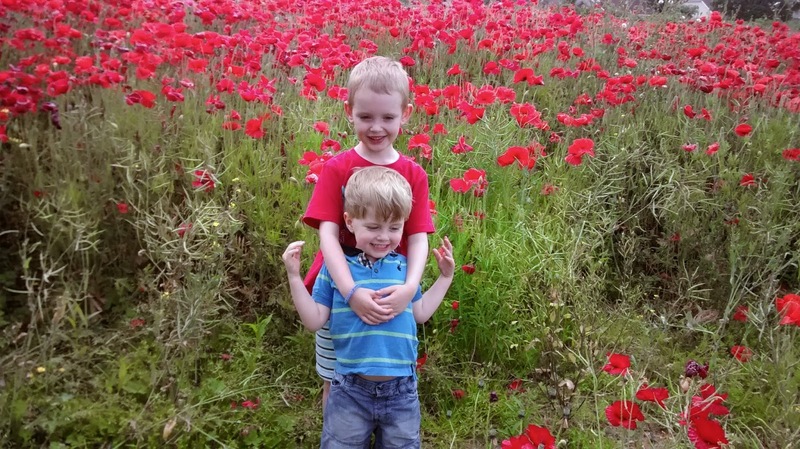 We had a lovely bank holiday weekend, with thanks to Brit Mums & Morrisons. 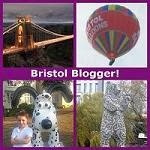 I was given £80 of shopping vouchers so I could write this post however all opinions are my own. Even though I'm at target with Slimming World I'm currently trying to loose the 6lb I put on over Easter! 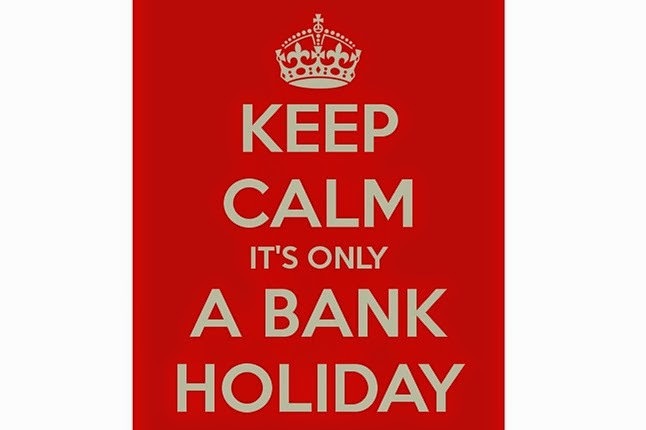 I find sticking to plan harder at the weekends, when everyone is home, so a Bank Holiday weekend is even worse. I'm so excited to be chosen as a #MorrisonsMum this weekend. So while planning what I would buy, it occurred to me that the best way to stay on plan would be to make a full meal plan. I've planned dinners before (not as often as I should) but not every meal. 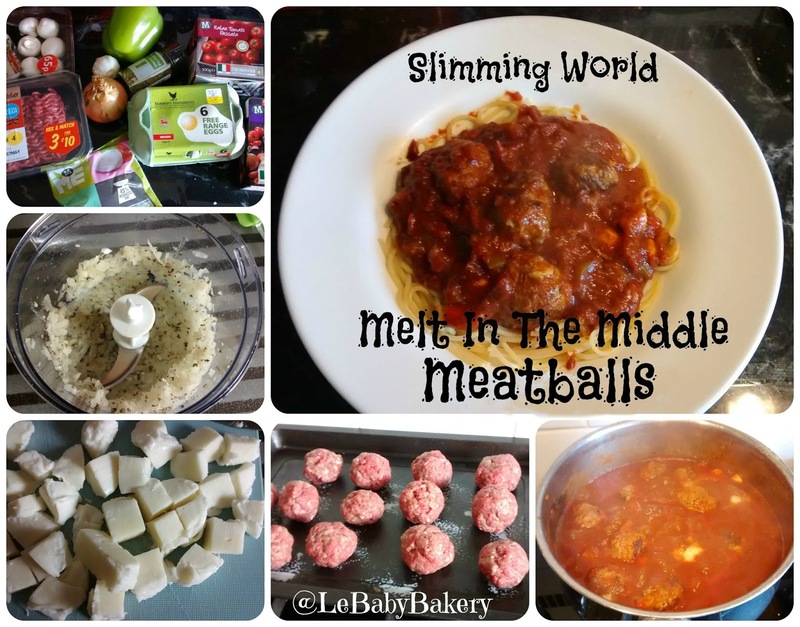 So here is what I have come up with for the weekend, breakfast, lunch, dinner and snacks for 3 days on Slimming Worlds extra easy plan. S: Alpen Light Bar (1/2 HEB) High Lights Hot Chocolate (2 syns) Muller Light & fruit. L: Bachelors pasta & sauce with extra veg. S: 10 x Malteasers (5 syns) Alpen Light Bar (3 syns) Muller Light & fruit. S: High Lights Hot Chocolate (2 syns) & fruit. When I was younger, I had several camping holidays/weekends away with my mum down on the Jurassic coast in Dorset. We spent most days on the beach searching for fossils & I have so many happy memories. So mum & I wanted to take the boys, now they are a little bit older, and can walk a bit further on their own. 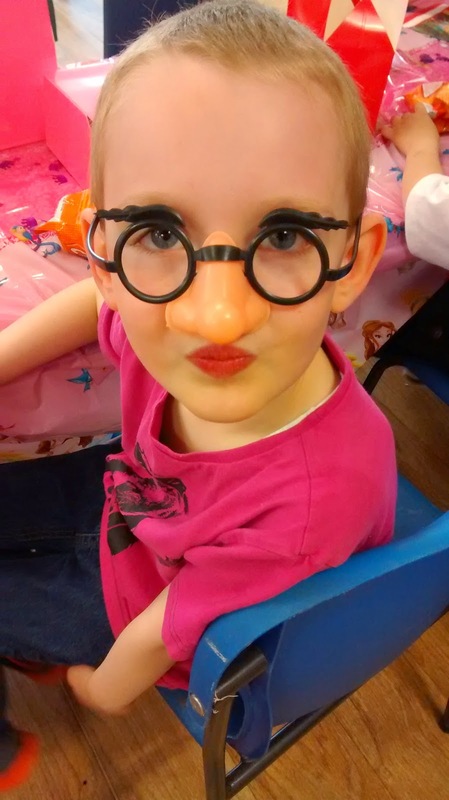 I cant believe Daniel is almost 4, where has that time gone?? I'm not brave enough to camp with the boys yet, maybe for a night when daddy is with us... So we opted to stay in a static caravan, with all the things we would need to make things easier. 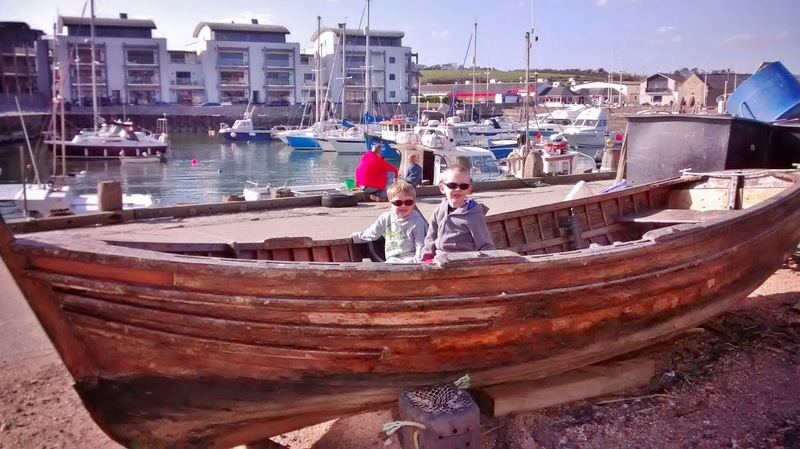 There are several holiday parks in the area, but we decided to opt for West Bay. 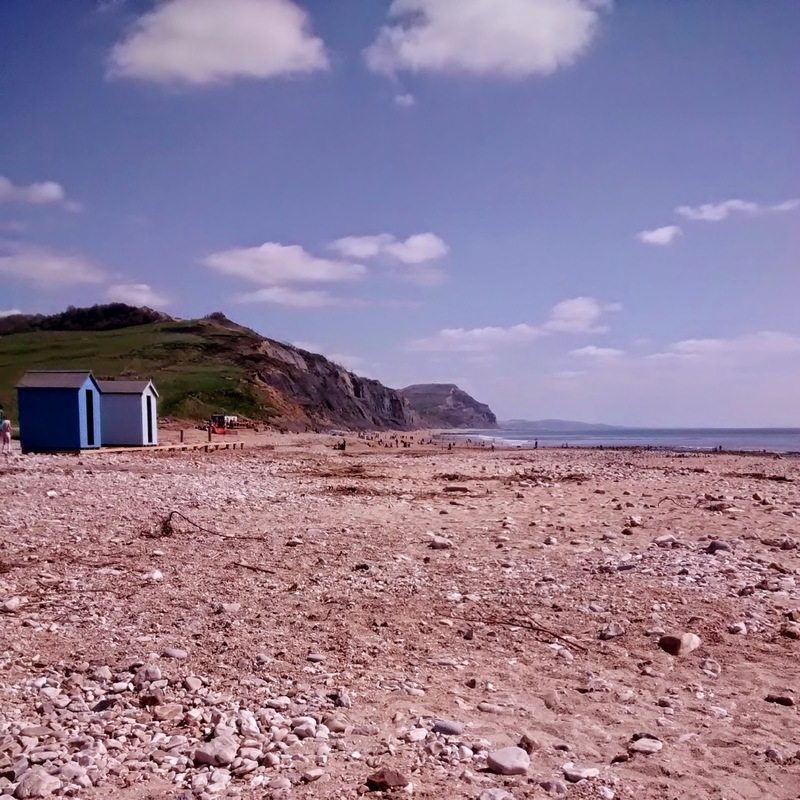 As a child we stayed in either the Lyme or Charmouth areas, but decided on West Bay after seeing it on the popular Broadchurch drama. 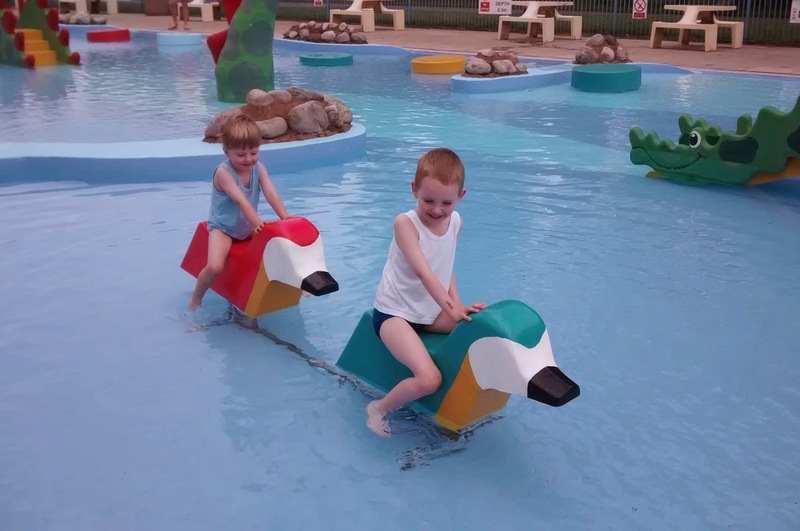 The holiday park there is run by Parkdean, however we booked ours through West Bay Caravan Hire who hire out several privately owned caravans. Booking through them worked out cheaper & even more so as we didn't have to purchase entertainment passes. They offered a great service answering my questions very promptly, & our deposit was returned within the week. Its great to know exactly which caravan you are booking & see pictures of that exact van, we could also enter form 2pm which is earlier than any other holiday I've been on. In the end we didn't end up spending that much time in West Bay! We went exploring on the first day and the working harbour is picture perfect. To the west there are a couple of pebbly coves however we couldn't walk along any further presumably due to cliff falls. The beach to the east has lots of fine shingle with sand at the waters edge. 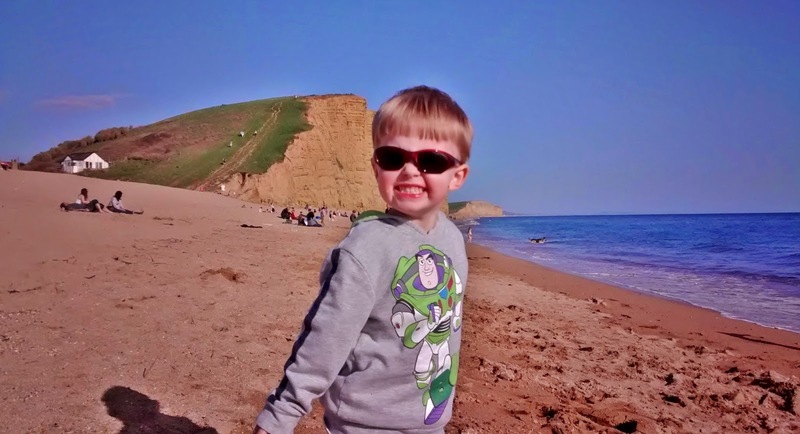 We spent our 1st full day at Charmouth, we headed down the east beach (stonebarrow) as this was always the beast for finding fossils in the past. Go on a falling tide as that way you are among the first to see what fossils have uncovered. It is also important to know the tides as the beach is often cut off at high tide. Neither mum or I ever had any success splitting rocks with a hammer & chisel, as even when we found fossils they would be broken or the flattened variety's. Its worth noting that hammering at the cliffs is not permitted & is also dangerous. The best fossils are found lying on the beach. Along this beach amongst the sand (the black sand is a good place to look) shiny fools gold (pyrite) ammonites can be found. 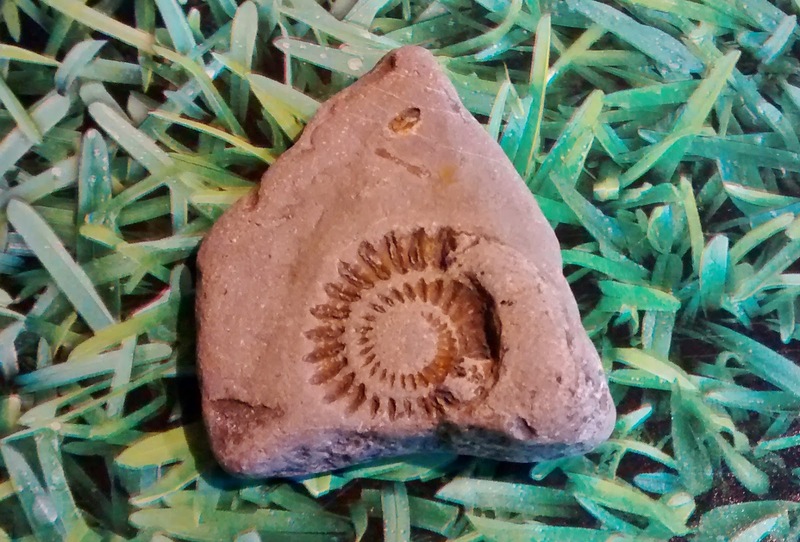 Trace ammonites can also be spotted on the pebbles. 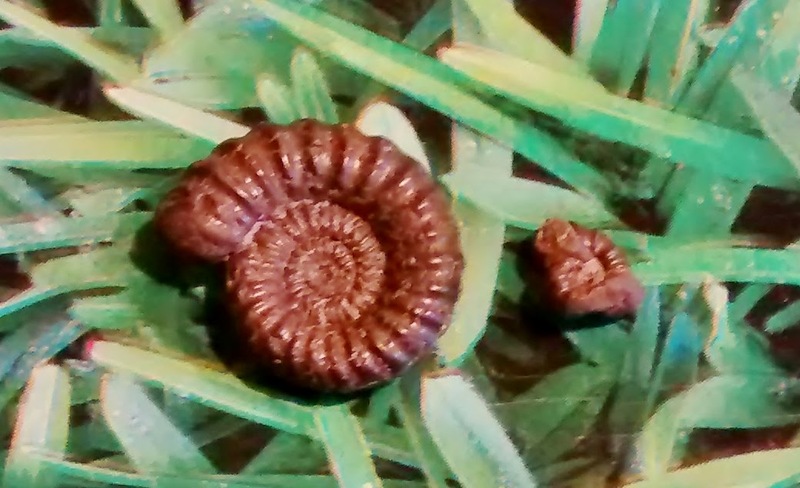 We were lucky enough to find one near perfect ammonite & one tiny one that was a little squashed. We also found several belemnite fragments. 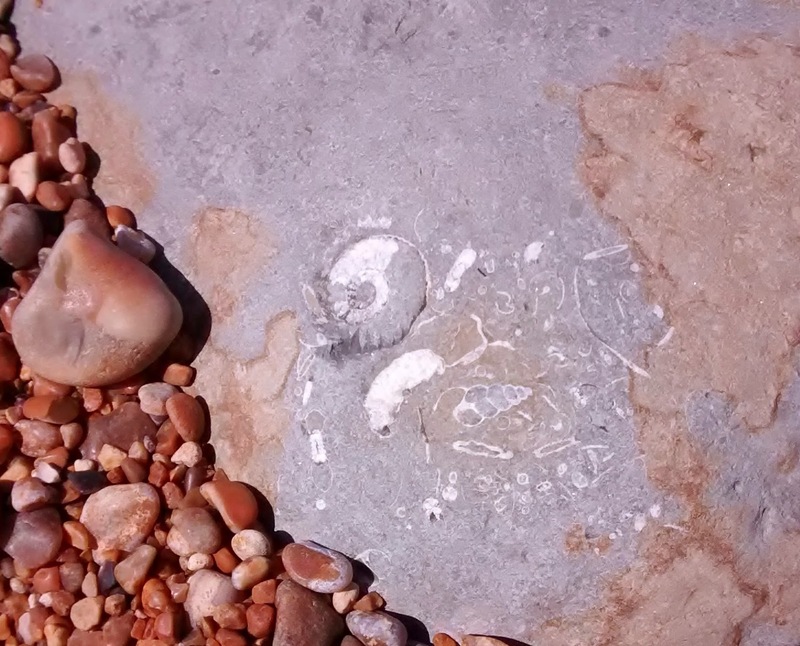 Other fossils can be found on this beach but these two are the most popular. When I was a child I was lucky enough to find a fossil sharks tooth & my mum found an Ichthyosaur vertebrae. Like these I often find the best fossils are the ones you find when your not really looking! After our day on the beach, we took time to visit the Charmouth Heritage Centre. Its a fantastic free visitor centre with lots of fossils & information. The boys really enjoyed brushing sand away to find fossils & the 2 fish tanks set up to show the sea life found in the rock pools. 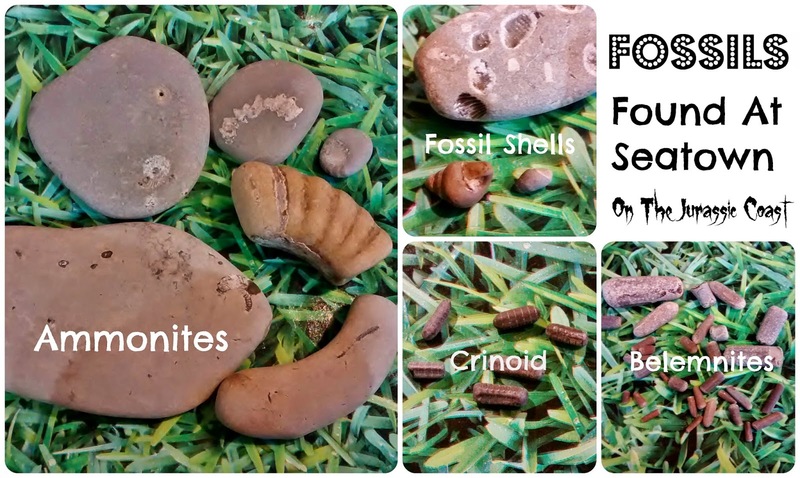 If you haven't been fossil hunting before take a visit first so you know what to look for, they also offer guided walks (for a fee). 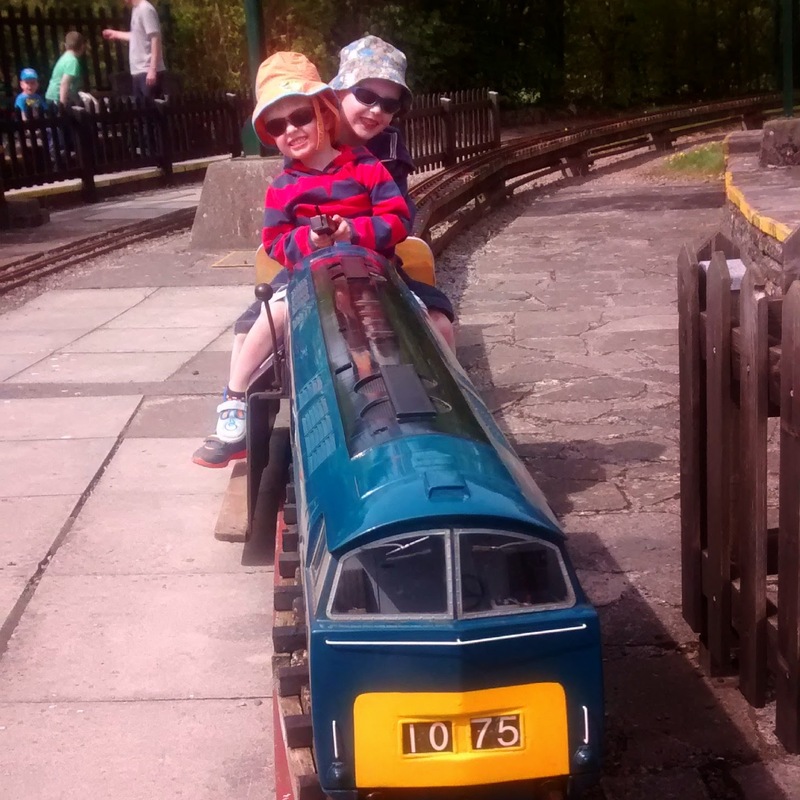 On the second day we enjoyed the playground on the holiday park & then had an early lunch in the caravan. In the afternoon we decided to visit Seatown, just to the east of Charmouth. Its down a small country lane & has a car park (£2 a day) & a popular pub The Anchor. When we visited they were in the process of renovating the pub, but we were still able to enjoy a lovely ice cream as they are still running a small kiosk. We headed to the west beach & were lucky straight away finding a rock with traces of ammonites in it. We found several others as we walked further up the beach, we also found several belamite fragments when looking through the shingle. We had a lovely afternoon and found the small pebbles easy to walk on and so much cleaner than sand. Please tell me I'm not the only one who's not keen on sand?? At low tide there are some areas of fine shingle & sand. After a picnic lunch Joseph & I walked further up the beach to see what we could find at low tide. Even though we found lots of pyrite we were unlucky in finding a pyrite ammonite at Seatown. We did however find the belemnite bed which had been exposed. 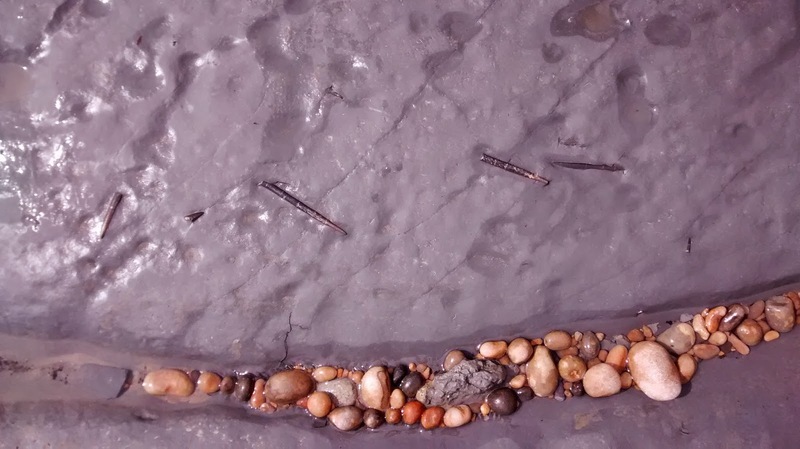 It was great to show Joseph how the sea washes the rock away & the belemnites end up on the beach. Its amazing how many there are in each rock. On the last day of our holiday, after we had packed, we headed to Lyme-Regis. There are several museums to visit there, but as we only had a couple of hours we had a look in a few of the fossil shops. We enjoyed a local pasty for lunch sat on the sea front. We were talking about how unlikely it would be to find a fossil on that part of the beach with so many people there etc, and on our way back to the car park we found one on the last metre of the beach! It was a great holiday, with some lovely new memories created for us all! Top 20 Halloween Messy Play & Craft Ideas..